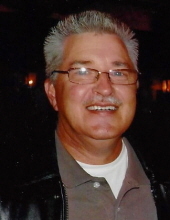 61, of Lynn Township, died Friday, April 12, 2019, at McLaren Port Huron Hospital. He was born Monday, May 20, 1957, in Detroit the son of the late Frank and Shirley (Ebert) Wojie. His marriage to Carol Sylvester was Saturday, May 21, 1977, in East Detroit. Thomas served his country with the United States Air Force from 1979 to 1982. He was employed by General Dynamics Land Systems, Sterling Heights for 18 years and General Motors for 18 years until his medical retirement in 2006. Thomas was the Capac High School bowling coach and member of the Holly Meadows Bowling League. He had coached baseball for his children and grandchildren’s teams. Surviving in addition to his wife Carol of 41 years are three children, Jason (Michelle) of Capac, Jessica (Emmanuel) Centnarowski of Capac and Laura Wojie of Lynn Township; nine grandchildren, Austin, Dylan, Autumn, Alec, Luke, Jayden, Emma, Jackson and Abel; sisters, Carol and Cathy, brother Alan Wojie and several nieces, nephews and friends. He is preceded in death by a sister Linda and nephew Curtis. The family honors the memory of Thomas and invite you to visit and share memories Thursday, April 18, from 2:00 to 8:00 p.m. at Kaatz Funeral Directors, Capac. Memorial services will be 11:00 a.m. Friday with 10:00 a.m. visiting. Rev. Lisa Clark, pastor of Capac United Methodist Church, will officiate. To send flowers or a remembrance gift to the family of Thomas Edward Wojie, please visit our Tribute Store. "Email Address" would like to share the life celebration of Thomas Edward Wojie. Click on the "link" to go to share a favorite memory or leave a condolence message for the family.